Freed-Up Resources and a Renewed Emphasis on Core Business – Business owners would much rather focus on revenue enhancing tasks like product development or the creation of cutting-edge applications/services. An MSP can provide routine monitoring and maintenance which is often neglected and can to be detrimental if neglected. A True Partner Sharing Risks And Responsibilities –The goal of an MSP is to deliver on contracted services, measure, report, analyze and optimize IT service operations, and truly become an irreplaceable catalyst for business growth. Managed Service Providers not only assume leadership roles, they enable risk reduction, enhance efficiency and can introduce new technologies and processes. Access to Expertise, Best Practices, and World-Class Tools and Technologies – MSPs have experience with a variety of businesses and organizations. Managed Service Providers can keep your business relevant and on track with continually evolving technology, support, and productivity demands. Let’s face it, no small or medium sized business can afford to fall behind with technology trends in today’s business world. The Benefit of a Full-Time Fully Staffed IT Department at a Fraction of the Cost – Most small business owners live and die by proactive management. They just haven’t had the budget, resources or access to on-demand expertise to be proactive with information technology management. 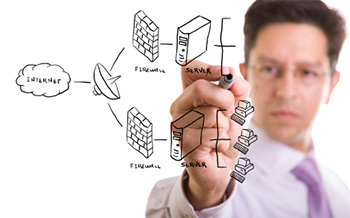 A Managed Service Provider gives business owners affordable computer and server support, remote monitoring of critical network components like servers and firewalls, data backup and disaster recovery, network security, custom software solutions, and technology evaluation and planning. Rather than being stressed about technology, business owners can instead get back to focusing on growing their business. All while enjoying the benefits of highly-trained IT experts boosting their network’s reliability and performance. Kinetic Technology Group is a Managed IT Service Provider that truly cares about your business operations. Give us a call at (214) 269-1200 or click here to work with us.